The best thing about real estate is its cyclical nature and its ups and downs. Imagine if real estate was a stagnant commodity, there would be no price gains and no profits. If you look at the price trends of any real estate market for the past few years or for that matter past several years, you’ll see the price graph going up and down. For a seasoned investor, the right time to strike is a down market. Investing when everyone else is selling can be rewarding provided you have enough patience to support your decision of investing. Buyers have an edge in a down market as when sales transactions are slow, the market is full of properties for sale at a lower price. With enough options to confuse you before making a decision, it is important to have foresight and know which area and type of property will bring profits in the long run. No matter what the market situation is, it’s important to know which areas will produce the best long-term returns. Especially in a down market, choose the most promising area with good rental yields and expected to offer high capital appreciation. There are a number of free reports and analysis available from eminent professionals. These tools provide an insight of the price trends and predictive future indicators. They can come handy in determining the type of property and area with high growth potential. Don’t be afraid to negotiate in a down market. As an investor, you’re not in a hurry to buy, so wait for the right opportunity and pick a property at the best price possible. Shortlist a few properties, make realistic offers and strike the perfect deal. Patience is the key to profits when it comes to real estate investments. Whether it’s buying the right property or selling, you need to wait for the right time. The return for your investment will depend on a variety of factors. The overall success of the investment will depend on not only where and when you buy, but also how long you can hold onto your property. It may appreciate more or less than your expectations and the longer you hold generally, the better growth you will achieve. Keep a long-term outlook for selling your property and remember you never lose till you stay invested. The objective is to make as much profit as you can and it starts from buying the right property in the right area at the right point of the market cycle. The real estate market changes from time to time and staying abreast of trends is paramount for investors. Know where the market is going and make strategic changes to your investment plans. Take professional help from real estate investment advisors. They have the experience and knowledge to suggest changes that can bring maximum profits. In order to be successful in real estate investing, it’s important to know how to make money in any market situation. There are strategies that work in a struggling market and others for a boom time. It’s a matter of understanding the market and using the right strategy. 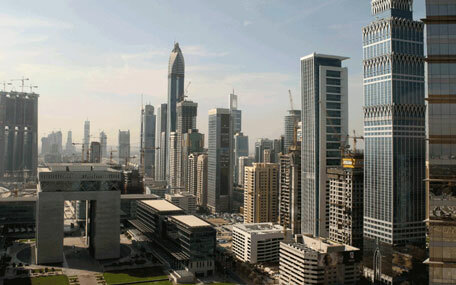 There are many real estate investing opportunities in Dubai today. Do your research and invest intelligently. In a down market, you will likely be able to purchase more property with less money and generate more rent per dirham invested than in a booming market. In all market situations, there is profit out there and staying out of the game is not an option. Any investor with keen understanding of the real estate market will surely win.